In today’s fast-paced business world, you can’t afford to waste time or get left behind in the current trends. If you don’t already use your smartphone for nearly everything, then you are already lagging behind. 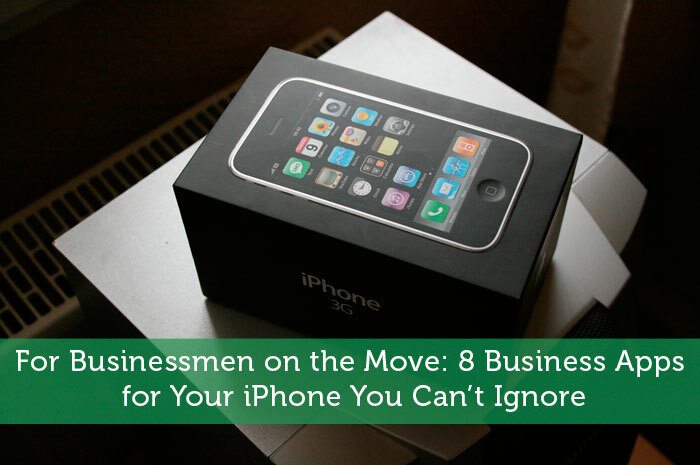 Your iPhone can become an invaluable business tool with these awesome business apps. It is vital that you remember the people you’ve met and any details they’ve shared in order to form a better connection with them. If you aren’t good with remembering names, faces, or details, then Humin can help. The app is designed to contextualize your contacts, helping you find people even if you can’t remember their names. Humin allows you to include all of your connections and organize your schedule so networking is simple, and you can focus your efforts on business. Take advantage of your iCloud and digital recording capabilities with Evernote, and never lose another brilliant idea scribbled on a sticky note again. You can dictate or manually enter notes through this app and, if your phone is equipped with a reliable network, easily access them from any other device through the iCloud. The app works perfectly with the 4.7″ Retina HD display of the iPhone 6, providing you with a large screen for setting up tasks, creating lists, taking notes, and forming documents. The text identification feature conveniently allows the app to recognize and index your handwriting. When you need to switch between Microsoft Office on your PC and your iPhone, you need a cloud storage app that does more than just store your files. OneDrive doesn’t require extra apps to get documents to work and be readable. Drag files directly onto OneDrive from your computer or phone and then enjoy the accessibility anytime, anywhere. 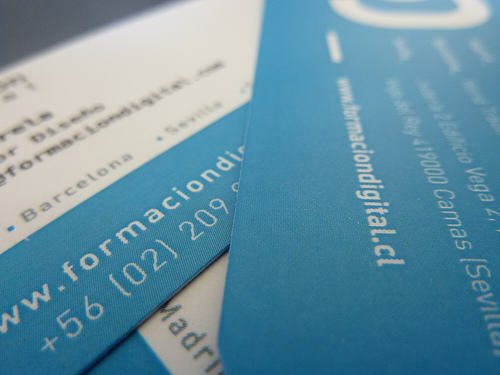 Automate the business card swapping ritual with CamCard. Simply snap a photo of any business card with your iPhone and allow the app to recognize the key details, updating your address book automatically. This tool is great for business trips and meetings where physical business cards can be lost easily. You might not be able to make it to a meeting, but you can now host one with the great GoToMeeting app. Invite up to 25 attendees to join in on a virtual meeting with this video conferencing app, and streamline meeting scheduling. Stay focused with speaker identification, allowing you to track who’s talking without any confusion. Share your screen, your keyboard, and your mouse with attendees to improve collaboration on projects, ideas, and presentations. Business expenses add up but letting them pile up until tax time is a huge mistake. Do your accounting on the go with the FreshBooks app. You can record and track expenses and profits, even when you are away from the office. Take pictures of your receipts for your records and never sort through a pile of papers to figure out what expenses to enter into your books. 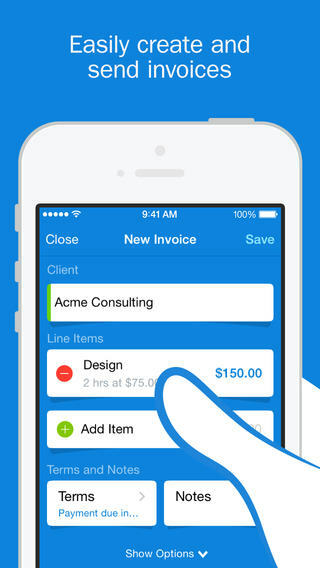 Track project times and expenses for faster invoicing and even file your taxes directly through the app. This free security app will help keep you and your data safe when you are browsing remotely. Avoid phishing and unsecure mobile websites. An app like this is especially important if you have jail broken your phone and altered the security settings of your iOS. You need to keep your data secure from hackers who would love to use your contacts, corrupt your information, gain access to your finances, or steal your passwords. Whether you are leaving a tip or hitting up a sale, the percentage calculator offers everyday convenience with the touch of a few buttons. Make sure your math is accurate and don’t spend time fumbling through the numbers. With the Percentage Calculator, you will never wonder again whether you are leaving an 18 percent tip or a 24 percent tip. Enjoy eight different ways to calculate percentages, instantly figuring many aspects of bookkeeping and regular expenses. If you are mobile, then you know how valuable mobile technology and organization is. Use apps as convenient tools to improve your business habits and gain more time to do the tasks that really matter. Ever since I started a blog I’ve actually found the Pages app to be pretty handy. I can start a post on my phone and it automatically syncs with my macbook air. Makes it easy to jot down an idea at any time. I just started using Evernote and question how I’ve lived without it. I love how it syncs across devices and how I can take picture notes too.